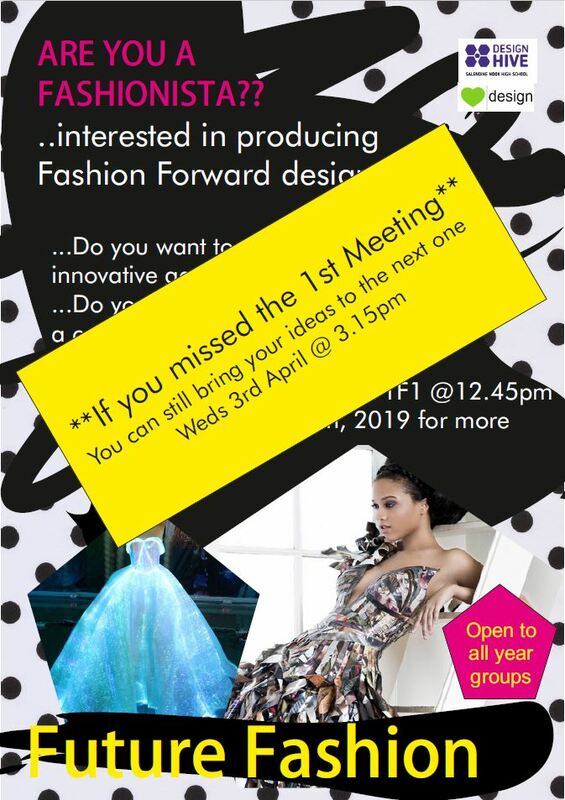 The workshop for the ‘Future Fashion’ design group will be taking place after school on Wednesday 3rd April in TF1. 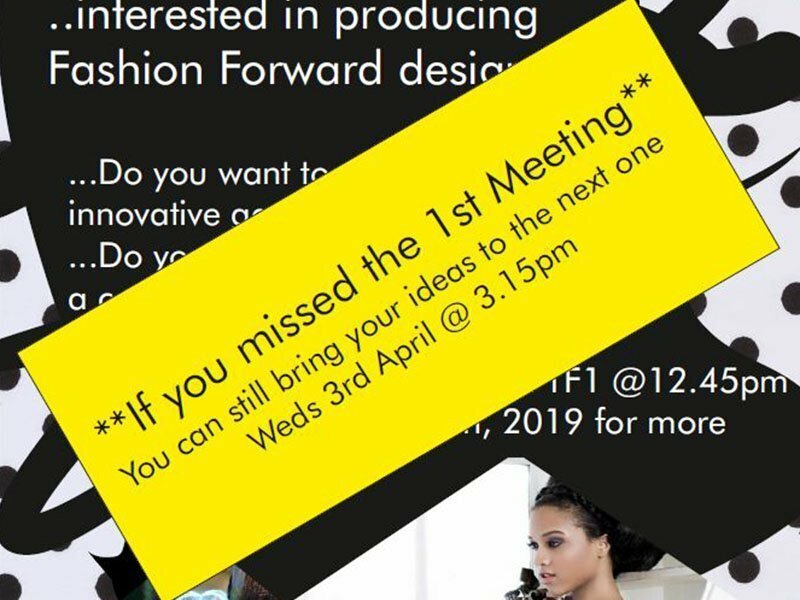 If you couldn’t make it to the initial meeting, don’t worry, just get yourself along to the Wednesday night workshop and try out some decorative techniques to inspire your designing. If you need any more details please see Mrs James in the Tech Dept.